Russian immigrants waiting on Ellis Island. Detroit's slums were the breeding ground for crime and violence when waves of European immigrants settled in the city between 1881 and 1914. The Purple Gang members were second-generation Jewish-Americans of Russian and Polish descent. Their Hastings Street neighborhood was on Detroit's Lower East Side known as Black Bottom. These young men were born into poverty and received little education barring them from desirable jobs. Mob life offered them everything but respectability. Street punks waiting for some action. Before they were known as the Purple Gang, they were part of a neighborhood mob of delinquent youths who became thieves, pickpockets, and shakedown artists primarily in the Eastern Market area just north of their home turf. Under the mentorship of older neighborhood gangsters--Charles Leiter and Henry Shorr--the Purples began to commit armed robbery, hijacking, bootlegging, loan sharking, kidnapping, extortion, and murder for hire. Soon, gang members ran gambling rings, speakeasies, and a numbers racket (lottery) among Detroit's black population. Purple Gang members avoiding a press photograph at the 13th Precinct police station. The Purple Gang was exceptionally violent and ruled the Detroit underworld from 1927 until 1935. 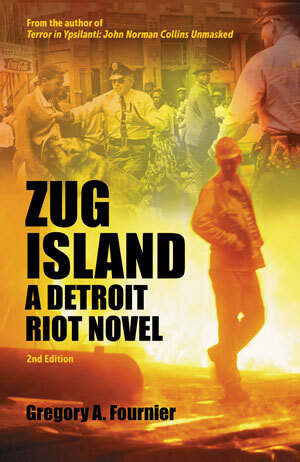 Authorities estimate that the gang murdered over 500 members of rival bootlegging gangs during Detroit's bloody turf wars. They were virtually immune to police interference because of payoffs to city officials and local beat cops. When known Purple Gang associates were arrested, witnesses were terrified to testify against them. The Purples came about through the merging of two groups--Oakland County's Sugar House Gang led by Leiter and Shorr, and a mob of Jewish street hoods led at that time by nineteen-year-old Sammy Coen, who assumed the alias Sammy Purple. Detroit detective Henry Gavin claimed the gang was named after Sammy. Once the police tagged the group as the Purple Gang, the press took up the drum beat. Gang members hated the label. There are several urban legends about how the gang's name came about, but Henry Gavin's explanation is the most credible. Canadian liquor being smuggled on the Detroit River. The gang grew into manhood with the emergence of Prohibition. Three years before the Volstead Act and national Prohibition became the law of the land, Michigan passed the Damon Act in 1917 prohibiting the sale of liquor within the state. Henry Ford supported and financed the movement because he wanted a sober workforce, but the Damon Act was declared unconstitutional in 1919. 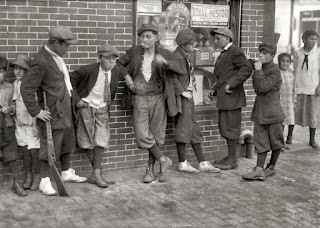 By the time the whole country entered Prohibition with the Volstead Act in 1920, Detroit was already a haven for bootleggers and hijackers of Canadian liquor shipments. Detroit was the gateway for the illegal distribution of alcohol to larger cities like New York, Chicago, and St. Louis. By the mid-1920s, Detroit was home to an estimated 25,000 illegal drinking establishments called speakeasies which were full-service bars. For people who couldn't afford cafe society, blind pigs developed which sold liquor by the shot in private homes and after-hour businesses. Legend has it that a church in Walkerville, Ontario installed a neon cross on their steeple to signal bootleggers that a shipment of booze was coming across. The neon beacon could be seen through the fog which was when the boats would leave. 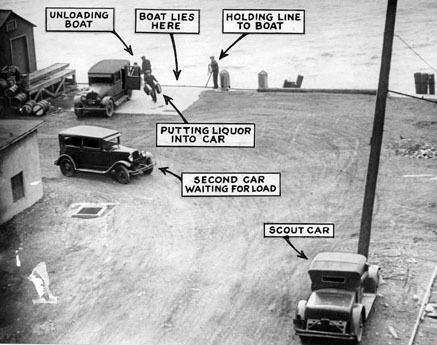 Pint bottles were developed so they would sink in case bootleggers had to ditch them in the Detroit River. Fifth-sized bottles would often wash up along the shoreline. The four Kaminski brothers grew up in Delray on Thaddeus Street. They would hang out along the river and watch the rumrunners try to outrun the Coast Guard. If a shipment was in danger of being seized, the "Little Jewish Navy"--as they were called--would throw the booze overboard to ditch the evidence. The brothers knew the river currents and would dive in to retrieve as much product as possible--then sell it. Seems like virtually everyone in Detroit was in the liquor business. 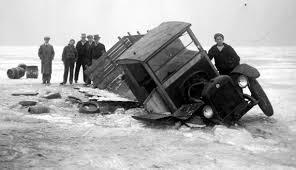 Boats were used on the water, and trucks were used on the ice to transport booze. Seventy-five percent of the liquor smuggled into the United States during Prohibition passed through Detroit. The Purple Gang's liquor, gambling, and drug trade netted the gang hundreds of millions of dollars annually providing the "grease" to make hefty payouts to city officials and police who agreed to look the other way. Turf wars were inevitable, and it wasn't long before Detroit streets ran with the blood of would-be rivals. The Purples became overextended and began to import hoods from New York and St. Louis to work as "muscle" for the gang. Unlike the Italian-American gangs who pioneered organized crime, the Purples were a loosely structured gang with shifting allegiances that came together and drifted apart when the need arose. After Sammy Purple's leadership, Raymond Bernstein ruled the gang until his murder conviction. Ray's soft-spoken brother Abe became the boss thereafter. 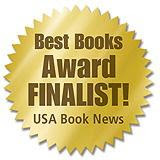 Author Robert A. Rockaway wrote in Shofar: An Interdisciplinary Journal of Jewish Studies (2001), "Italian gangsters tended to involve (cross-generational) family members in their criminal activities. With the Jews, it was that one generation, the children of immigrants, and it ended with them." As a postscript, the Purple Gang reigned over Detroit's underworld for only five years. Most of the gang were either gunned down or died in prison. My next post will cover the rise and fall of the Purples in Detroit. 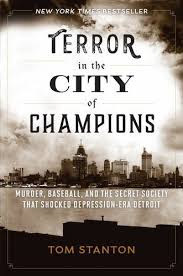 I like to think I am well-versed in Michigan and Detroit history, but it wasn't until I recently read Tom Stanton's Terror in the City of Champions that I learned of the Black Legion, a splinter group of the Ku Klux Klan. The original group called the Black Guard was founded in the mid-1920's as a security force for Ohio Klan officers. After being kicked out of the Klan for establishing a fiefdom, Dr. Billy Shephard from Lima, Ohio, further radicalized the group. They became the Black Legion, an even more ruthless and reckless organization than the Klan. In 1931, a Michigan regiment was established by Arthur Lupp of Highland Park. From there, Virgil "Bert" Effinger began to reorganize the group throughout the Midwest and became the group's spokesperson. Every new member had to repeat an oath "In the name of God and the Devil." They were given a .38 caliber bullet cartridge and told another one had their name on it if they violated their vow of secrecy. Some people were tricked into joining by friends or family and soon discovered they were in over their heads. High-ranking officers wore black capes with gold trim and brandished weapons openly. The legion expanded aggressively through deception, threats, and brutality. Beatings and torture were used to keep errant members in line. 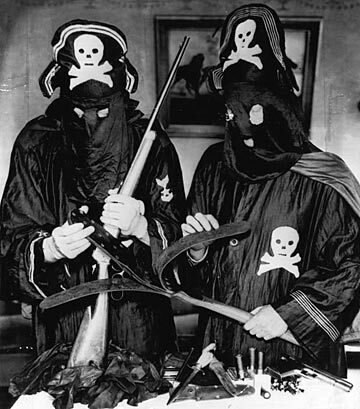 Policemen display captured Black Legion vestments and the tools of their trade. The Black Legion boasted having over one million members nationwide. At its height in Michigan, there were 5 brigades, 16 regiments, 64 battalions, and 256 companies. Law enforcement estimated membership at 20,000 to 30,000 statewide. The Detroit area had 10,000 members. Michigan State Police investigator Ira Holloway Marmon discovered Black Legion strongholds in Highland Park, Ecorse, Wyandotte, Lincoln Park, Saline, Monroe, Irish Hills, Pontiac, Flint, Saginaw, and of course, Detroit. Indiana, Illinois, and Ohio had active chapters also. Their members were primarily angry, white, Anglo-Saxon males who were transplants from the South during the boom years of the auto industry in what history marks as the Great Migration. Whites and blacks with little or no industrial skills flooded into Detroit heeding Henry Ford's clarion call, "Jobs at $5 a day." Competition for work was fierce in the 1920s, but during the Great Depression, people were killed over jobs. The legion was frustrated by the economic and social instability of the 1930s. They felt alienated by Detroit's industrial landscape. One of their core beliefs was that Anglo-Saxon Protestants were being pushed aside in America because foreigners (Catholic and Jewish immigrants) and blacks were taking their jobs--jobs they believed they were entitled to. Being in the legion made members feel connected with something larger than themselves. Membership for many people increased their self-esteem and sense of white supremacy. They absolutely believed race mixing was destabilizing the American way of life leading to social degeneracy. Legionnaires widened the scope of their wrath to include terrorizing and often murdering welfare recipients, labor union organizers, and political opponents. Probably more than anything else, the Black Legion hated socialists and communists. The legionnaires were a right-wing, secret terrorist society. Using fronts like the Wayne County Rifle and Pistol Club (members honed their shooting skills in the club's backroom firing range) and the Wolverine Republican Club (where thinly disguised rallies and gatherings were staged), Legion-approved speakers would rail against their perceived enemies and rally the faithful. New recruits would hear lengthy diatribes whipping the crowd to a frenzy of hatred. The legion provided easy answers to the complex questions of their day. One of their political fliers read, "We will fight political Romanism (Catholics), Judaism (Jews), Communism (Socialists), and all 'isms' which our forefathers came to this country to avoid," all the while wrapping themselves in the American flag. Works Progress organizer Charles Poole (22 year old Catholic) was shot five times at point blank range in Dearborn Township on May 13th, 1936. A number of key Legion members were arrested and convicted. Investigators uncovered the organization's propaganda, their enrollment records, some Black Legion robes and hoods including the tools of their trade--guns, bludgeons, blackjacks, and whips. Dayton Dean was convicted of being the trigger-man in Poole's death. Once on the stand, Dean sang like a canary. 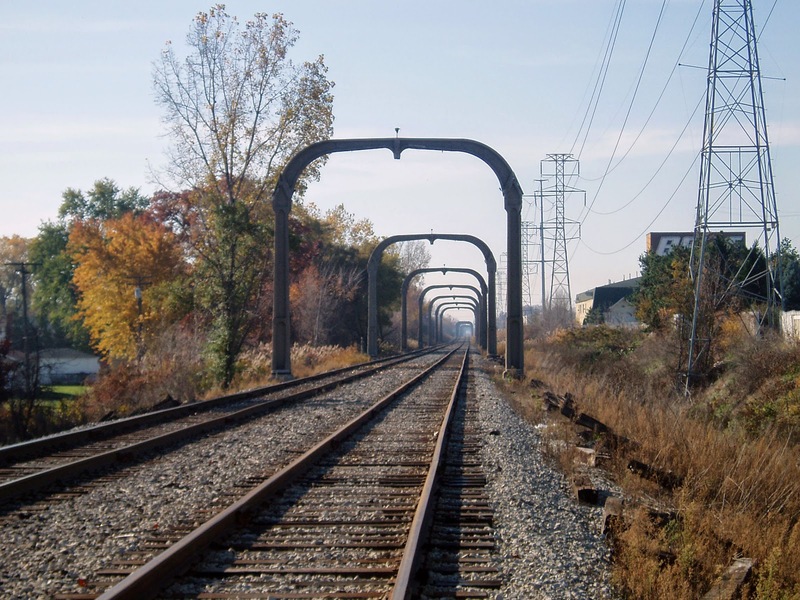 Arguably the most recognized icon in Allen Park next to the Big Wheel off I-94 are the concrete arches which straddle the tracks of the Detroit, Toledo, and Ironton (DT&I) railroad that cuts through town west of Allen Road and east of Pelham Road. Everyone in town has walked or driven across the tracks at Champaign Road on their way to Allen Park High School and wondered about these silent sentinels. I remember gazing out the second floor windows of my geometry class and daydreaming where those tracks could transport me away from the drone of Mr. K. and the tapping of chalk on his blackboard, charting out axioms and postulates. Phewy! Students who lived southeast of the school took the shortcut home through the hole in the fence and walked down the tracks and crossing over wherever they needed to. I remember the diminishing perspective of the arches as they stretched into the distance. The DT&I went about five miles north of Allen Park to the Rouge Plant, and it stretched south through most of Ohio, connecting with major east/west lines along the way. 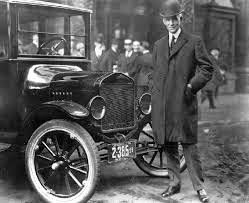 The Ford Motor Company (FMC) at Henry Ford's behest purchased the bankrupt and poorly run DT&I in 1920 for a mere five million dollars. Frustrated with shoddy rail service, assembly line production delays, and exorbitant shipping charges, Henry Ford recognized the strategic importance of affordable and reliable supply lines for the uninterrupted mass production of his Model T. Henry Ford was determined to control every aspect of production at the Rouge Plant, from the shipment of raw materials into the plant to the shipment of the finished product from the plant. Henry Ford announced on July 1, 1923 that he would convert the DT&I from steam locomotion to electrical power. 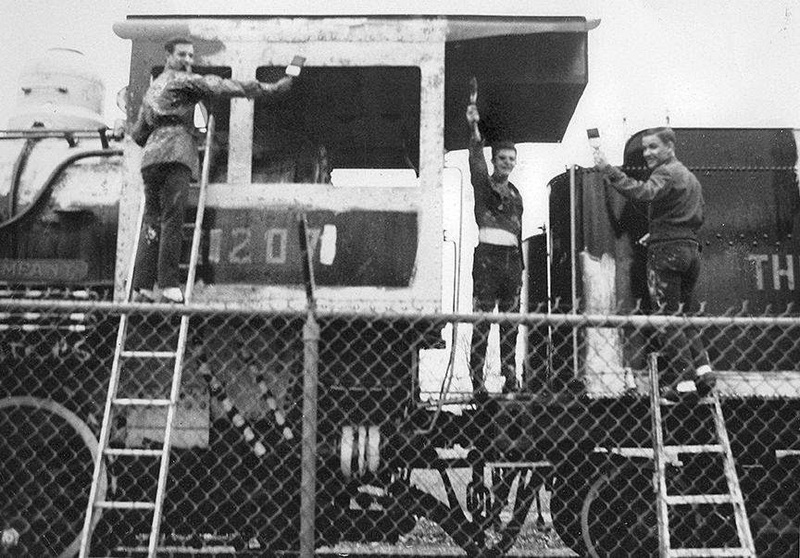 The steam locomotives FMC bought in the acquisition were slow, dirty, loud, and required continual maintenance. The rolling stock acquired was in disrepair after two and a half years of neglect at the end of World War I, so Ford engineers were set to the task of improving the rail line from stem to stern. On June 1, 1925, trial runs were made with two electrified locomotives made from components designed and built by Westinghouse Electric Company. The power was supplied to the new locomotives by an overhead electrical cable strung from one concrete arch 300 feet to the next one. The power line ran for the original seventeen miles of electrification. At first, power was generated at Ford's Highland Park plant, but later the Rouge Plant generators came online when more power was needed. The top speed of the dark green and red locomotives was 43 mph. Both locomotives entered limited service in 1926. The concrete arches carrying the power line were designed at the Fordson concrete plant within the Rouge Plant complex. They were in active use until March 1, 1930. Each arch, called a catenary, was built with 95 cubic feet of Ford concrete and 257 feet of rebar made at the Rouge Plant steelworks. The DT&I was now showing a profit, but Henry Ford was frustrated with interference and regulation from the Interstate Commerce Commission. 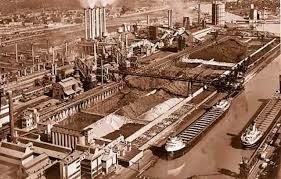 FMC decided to sell DT&I on June 27, 1929 to Pennroad Corporation for approximately thirty-six million dollars making FMC a thirty-one million dollar profit over their initial five million dollar investment. But more money than that went into the research, development, and maintenance of the line to transform it from a "streak of rust" into a profitable operation. FMC sold the DT&I line four months before the stock market crash on "Black Tuesday" October 29th, 1929. In March of 1930, the two electric locomotives were scrapped and the overhead power line was taken down. In 1947, some of the concrete arch supports were removed and re-purposed to form an embankment at Mosquito Lake in southern Ohio. These arches were made to last. It took a large crew two days to remove just one of them. Most of the arches are still in place between the Rouge Plant in Dearborn and just beyond Flat Rock, Michigan. These arches stand as a silent monument to the vision and determination of Henry Ford and his forward looking genius. It wouldn't be long before trolley cars and subway cars would be running on generated electrical energy in cities across the globe. Eighty years later, battery powered and solar powered electric automobiles have become a reality in our twenty-first century world. It seems like an oversight that Ford's concrete arches are not listed in the National Registry of Historic Places. During the height of the Great Depression in the 1935-1936 sports season, Detroit's professional sports teams accomplished a feat unrivaled in American sports history. 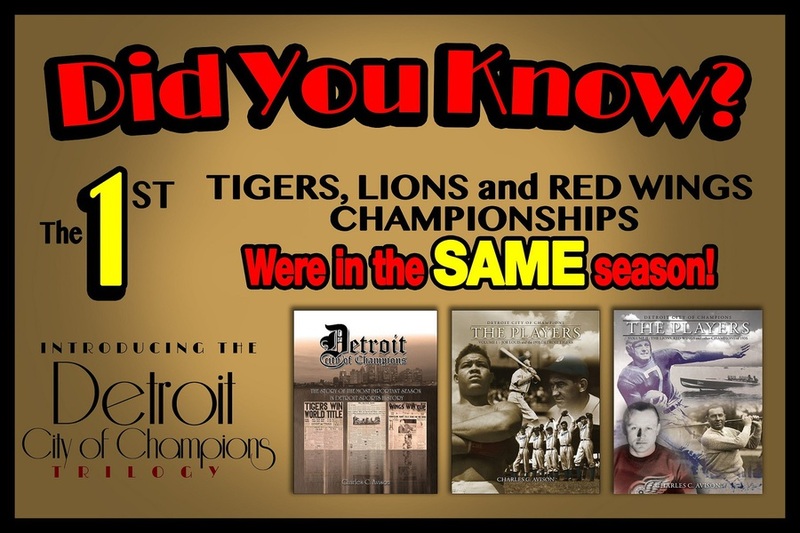 The Detroit Lions, the Detroit Tigers, and the Detroit Red Wings all won their championships the same year. The season was called by the Windsor Star "...the most amazing sweep of sports achievement ever credited to any single city." That prompted Michigan Governor Frank Fitzgerald to proclaim and designate April 18th, 1936 as "Champions Day" in Michigan. Champions throughout the state were honored. The White House honored Detroit as the "City of Champions" in 1936 presenting the city with a wooden plaque signed by President Franklin Roosevelt and the forty-eight sitting governors. The plaque included five medallions at the bottom representing the Tigers, Lions, Red Wings, and standout individuals speedboat racer Gar Wood for winning the international Harmsworth Trophy and boxer Joe Louis for bursting onto the national boxing scene after a successful amateur career. 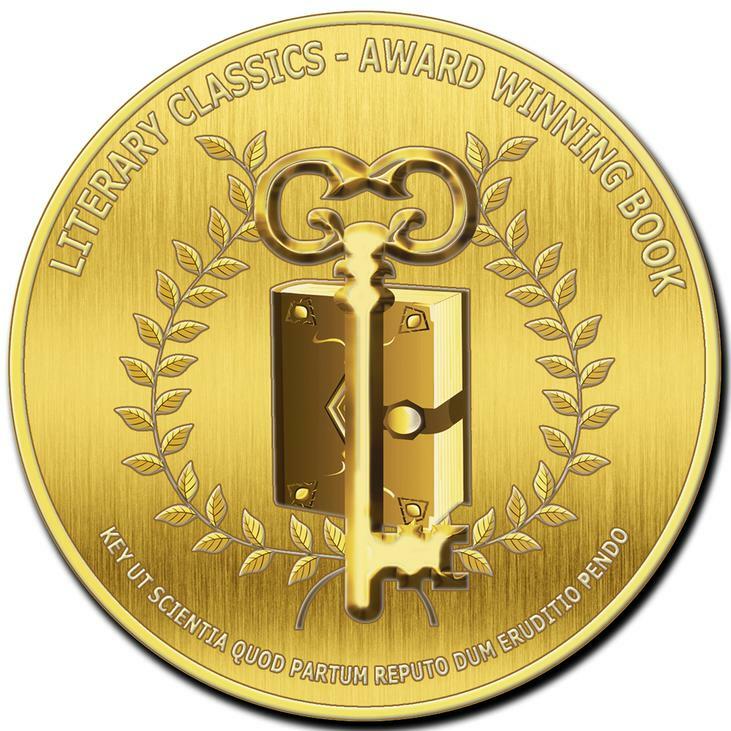 The plaque was presented at a banquet on July 16th in Traverse City during the 1936 Cherry Festival. Locally, a banquet was held in Detroit attended by over 600 fans at the Masonic Temple with the event broadcast over WXYZ radio. Many of the athletes from the sports teams gave speeches, however, Joe Louis did not speak. Because Louis lost a heavyweight championship fight to German Max Schmeling later that year, his boxing medallion was removed and replaced by a diver representing Amature Athletic Union (AAU) high dive champion Dirk Degener. Anyone remember Dirk? I didn't think so. Joseph Louis Barrow--best known as the "Brown Bomber" boxed from 1934 until 1951 and reigned as heavyweight champion from 1937 to 1949. He was born in Chambers County, Alabama, the seventh of eight children. Both of his parents were children of former slaves. Louis's family moved to Detroit after a brush with the Ku Klux Klan when Joe was twelve. The Louis family was part of the Great Migration after World War I. His family settled on 2700 Catherine Street in the now defunct neighborhood of Black Bottom. When old enough, Joe and his older brother worked at the Rouge Plant for the Ford Motor Company. During the Great Depression, Joe spent time at a local youth recreation center at 637 Brewster Street in Detroit and made his boxing debut early in 1932 at the age of seventeen. In 1933, Louis won the Detroit-area Golden Gloves Novice Division. In 1934, he won the Chicago Golden Gloves championship and later that year became the United States Amateur Champion in a national AAU tournament in St. Louis, Missouri. By the summer of 1934, Joe had gone pro with a management team. In 1936, Louis got a title shot versus world heavyweight champion Max Schmeling in Yankee Stadium. The German trained hard while Louis seemed more interested in his golf game--his new hobby. Schmeling knocked Louis out in the 12th round handing Joe his first professional loss. Schmeling became a national hero in Nazi Germany as an example of Aryan superiority. Max Schmeling and Joe Louis rematch. No path to a rematch was open to Louis until June 22, 1938. Louis and Schmeling met for a second time at Yankee Stadium before a crowd of 70,043. The fight was broadcast worldwide in English, German, Spanish, and Portuguese. 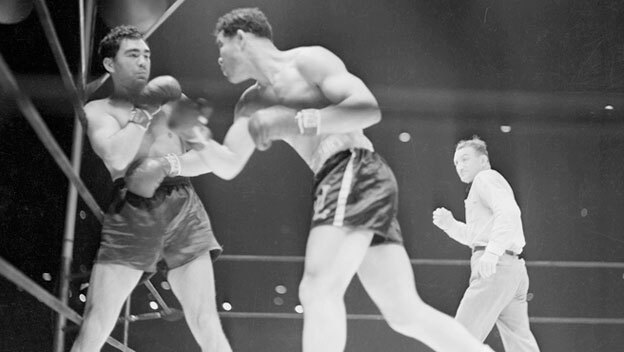 It should be noted that Max Schmeling was not a Nazi, but the Nazi party propaganda minister Joseph Goebbels hyped the match proclaiming a black man could not defeat Herr Schmeling. The American press promoted the match as an epic battle between Nazi ideology and American democratic ideals. Louis became the embodiment of anti-Nazi sentiment. After the big media buildup, the fight lasted only two minutes and four seconds. Schmeling went down three times before his trainer threw in the towel ending the match. For the first time in American history, every black person and white person in the country celebrated the same event at the same time. Not until the end of World War II would that happen again. 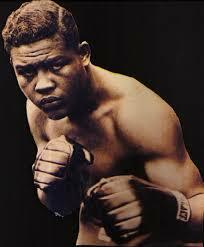 Joe Louis became the first African-American national hero. He reigned as heavyweight champion from 1937 until 1949--longer than anyone else. In 1951, Louis was beaten by Rocky Marciano and retired from the ring. The following year, he was responsible for breaking the color line integrating the game of golf. He appeared as a celebrity golfer under a sponsor's exemption at a PGA event in 1952. Joe Louis died on April 12, 1981 of cardiac arrest at the age of sixty-six in Desert Springs Hospital near Las Vegas after a public appearance at the Larry Holmes-Trevor Berbick heavyweight battle. President Ronald Reagan waived eligibility rules for Joe Louis to be buried at Arlington National Cemetery with full military honors on April 21st. His funeral was paid for by his friend Max Schmeling, who also acted as a pallbearer. 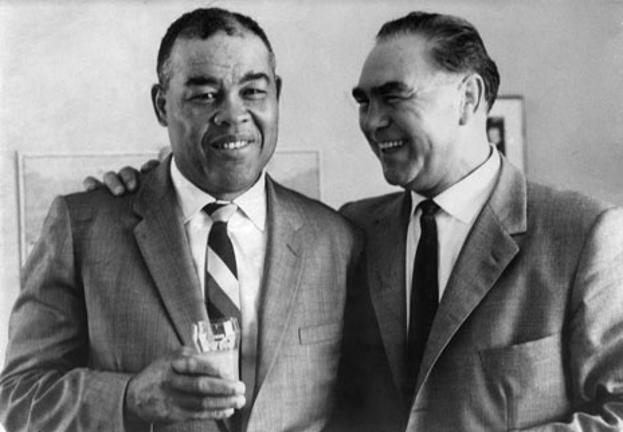 In his professional boxing career, Joe Louis won virtually every boxing award there is and was awarded the Congressional Gold Medal posthumously in 1982. 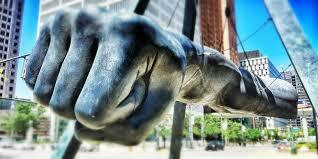 The City of Detroit honored Joe Louis with a monument on October 16, 1989. 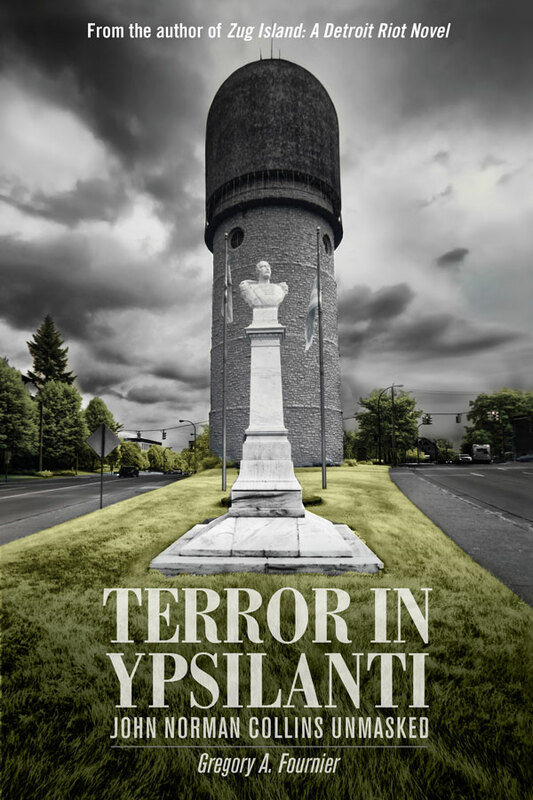 When drivers turn onto Woodward Avenue from Jefferson Avenue, they are confronted with a colossal fist and forearm suspended from a triangular superstructure--a testament to the regard and respect Detroiters hold for their hometown hero. Courtesy of Images of America - Allen Park. Every time I visit Allen Park, I find a reason to drive past the high school and look on with approval at improvements made by the district. The remodeled high school has a pleasing facade, the windows throughout the school have been upgraded, and a Performing Arts Center has been added onto the west end of the building. I get into town a couple of times a year but usually make the pilgrimage and reminisce about the old days. While I was thinking about my upcoming trip to the Detroit area, I flashed on something I hadn't thought about for decades. 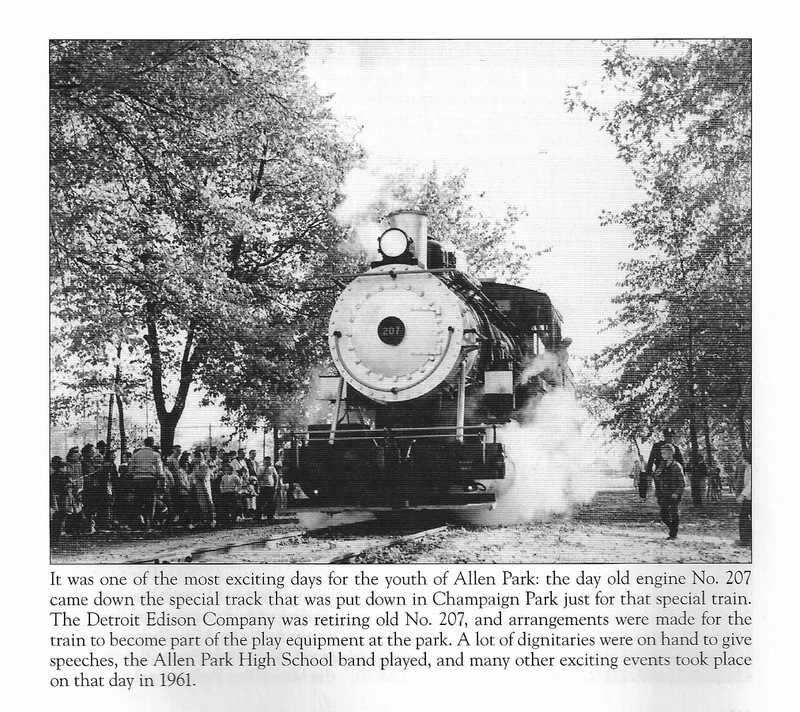 Whatever happened to the steam locomotive and tender car that was once on display in Champaign Park next to the high school? I remember the train having a cyclone fence built around it topped with barbed wire which did little to deter anyone who wanted to climb over. What started out as a public school hands-on exhibit became an attractive nuisance and a public liability risk. I looked into the subject further and discovered that the train was built in Buckley, Michigan by Alco and owned and operated by the Detroit Edison Line. It was in service from 1923 until 1961, when it was driven under its own steam power to its display site in Champaign Park. A special track spur was built off a nearby railroad line. The Buckley No. 207 and its coal tender were removed in 1970 because the floor boards were rusting out and kids playing on it often got hurt. Old No. 207 was cutup with torches and hauled out of the park in trucks for scrap, said Arnie Ciupka, who was an eyewitness to its dismemberment. On the day of its installation, a crowd of local youth, community members, and dignitaries watched the train roll in. Former Allen Park City Schools Superintendent John Sturock played trumpet at the steam locomotive's dedication when he was in sixth grade. 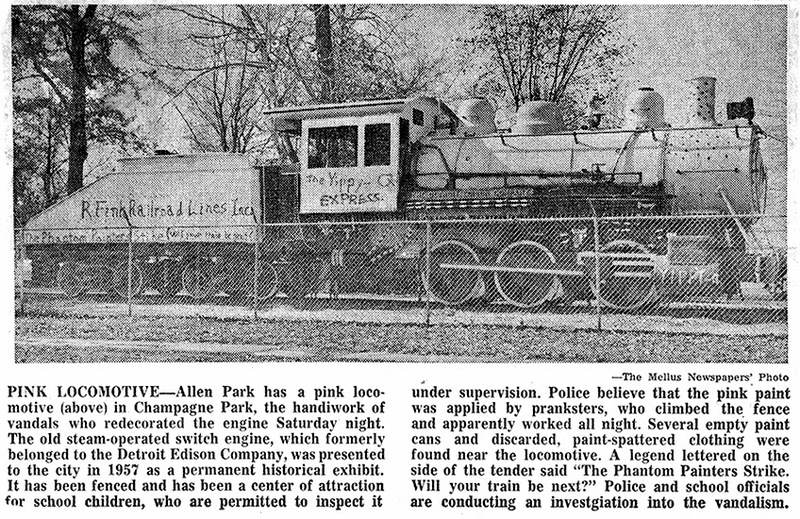 One of the more notable moments in the train's decade long history in Champaign Park was when it was painted pink by some rapscallions as a Halloween prank in 1965. Two unnamed high school kids from Dearborn Heights and George Jolokai from APHS Class of 1966 decided to turn themselves in and went to the Allen Park Police Station. Reading George's account of the incident makes me wax nostalgic and want to be young and stupid again. 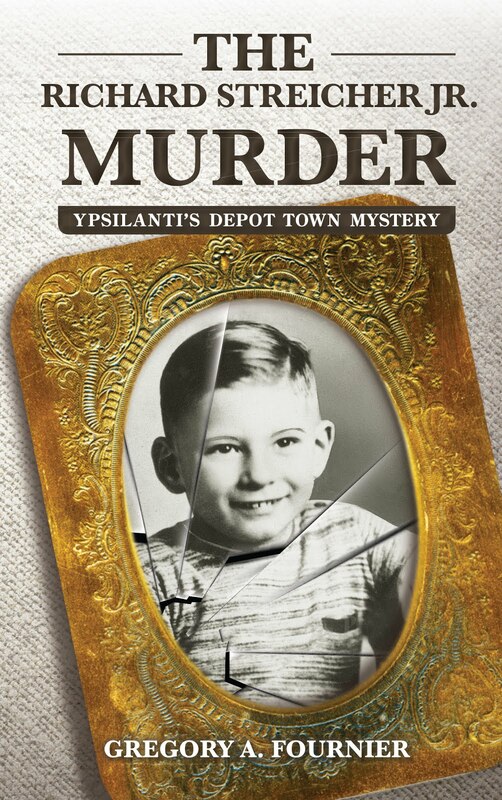 What follows is George Jolokai's reminiscence of the train painting incident in all its charming innocence. 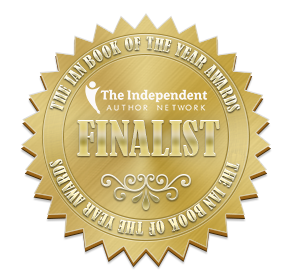 "Appropriately, the idea to paint the train in Champaign Park pink came to us while we were sitting on the roof of the engine of the train. It was early October, 1964 and some guys I knew from Dearborn Heights had come by. They were seniors, this was junior year for me. I lived across the street from the park, one house off the corner of Champaign and Buckingham. The train had been moved there a few years earlier and eventually the city put up a fence and locked gate, but going over there, hopping the fence and hanging out was not all that unusual. It was a few weeks before Halloween, somehow the talk had turned to pranks. "The notion of “Hey, we could paint the train!” was obvious and it would have died there except I hadn’t tumbled to the fact that blurting out things that just popped into my brain wasn’t always a good idea. Things like “Hey, my dad’s got a bunch of pink paint down in the basement that he forgot all about!”. "On a Friday night within a week of our rooftop epiphany we did the deed. I grabbed a couple gallons of pink paint and some black paint from our basement and we headed over to the train in the dark. My folks were out of town, I’m sure it was after 10:00 PM when we started. Maybe spent two hours painting at most. We were more into transforming the train and getting a reaction to the whole thing being pink instead of just painting initials or slogans. (An early Heidelberg Project?) We used rollers and big brushes, got a lot done before we ran out of paint, and stuffed all the paint cans in a park trash can. "The reaction after that was kinda cool, but I knew I couldn’t tell anyone, so in school it was a lot of listening to other folks tell me they “knew who really did it.” It ran in the Mellus newspaper, folks came by the park to look and pretty quickly it was just there, no big deal. "Until a few weeks later. My uncle was over, he and my dad were talking in the dining room about it. I was in the kitchen. My uncle was into building Heathkit electronic stuff and figured the guys who did it must have had a police scanner. And a lookout. And a whole bunch of guys painting and they must have worked until almost dawn. He and my dad started talking about tipping over outhouses and what a good prank the painting had been since the train looked better, and at least folks came to look at it now. "Phew, it’s sounding like I’m in the clear. Until he adds, “Of course I do have all that pink paint down in the basement. Maybe I better count the cans!” Bigger har, har. Blam! The kick to my chest as I realize “of course”, it’s not like my dad was so stockpiled with paint he wouldn’t know the inventory was down by three or four gallons. I just knew he had never used it. It had been there forever bought from some sale at Sears. Duh! How could I have ever thought he had “forgotten” all about it? "Well, my uncle left and I figure I better confess before my dad goes and counts. Predictably dad does his real angry bit. Wants to know who I did the prank with. I wouldn’t tell him, so he made a simple declaration. I either go turn myself in, or I don’t leave the house. Forever. While I knew I might only serve three to five of that “grounded for life” sentence, that was still too bleak. "My friends both glared at me, probably figuring it was a setup all along. One of them had applied to the Air Force Academy, so a possible arrest might not go too well. Then the cops blew their edge when they told us “You know, we were getting pretty close on this case. We had tracked down where you got the paint!”. Wow, ace detecting, that and the ability to read the “SEARS Weather Beater” label on the paint cans. "The city soon contacted our parents, told us to be at the park the next Saturday at 9:00 AM sharp to repaint the train. We spent the next two Saturdays at it, painting all day with some guy supervising us who knew we were saving him a whole lot of work. He made sure we did a job that would last. A few weeks later, they sent my mom a bill for the paint and she went ballistic. No way was she going to pay. The city already had budgeted for the paint, they were going to repaint the train soon anyway, and we saved them the labor. So no way! The guy’s mom who was applying to the Air Force Academy, however, paid it immediately. Case closed. George is to the right. Photo taken by his brother. "That was it. No repercussions, no arrests, no court records. Simpler times, yeah, but then again it wasn’t like we were out to destroy capitalism or anything. We were just dumb guys with a dumb idea and an overactive sense of mission. The one friend of mine did eventually make it into to the Academy and graduated. I talked to the other guy a few years ago. He had made a career of the Army and had recently retired as a colonel. "Me, I didn’t paint any more trains. It was a fairly thoughtless prank that didn’t take anything to pull off but might have been a whole lot more consequential. We were lucky. The repainting seemed fair, so lesson learned: Do something dumb and you could be held responsible. What a concept! Certainly wasn’t a bad take away lesson…though I still think the train was more interesting when it was pink."--G.J. One of the least remembered Detroit sports celebrities is speedboat champion Garfield "Gar" Authur Wood. He was known as the "Grey Fox of Algonac" by many in the speedboat racing world. He was the first person to go over 100 mph on the water. Gar Wood won five straight powerboat Gold Cup races between 1917 and 1921. He won the British International Trophy for Motorboats known as the Harmsworth Trophy nine times and retired from speedboat racing in 1933 to concentrate on business concerns. 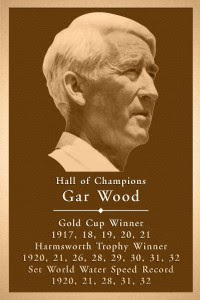 Gar Wood was born in Mapleton, Iowa on December 4, 1880. His father was a patriotic Civil War veteran and named Gar after the current president James A. Garfield and his vice-president Chester Arthur. Gar was the third of twelve children. As a growing boy, Gar assisted his father who was a ferryboat operator on Lake Osakia in Minnesota. It is here where he learned his love of boating and developed his mechanical skill for inventing devices to solve mechanical problems. 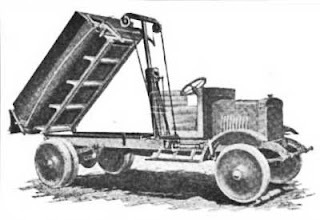 Without any formal engineering training, Gar Wood invented the hydraulic lift for the titling beds of coal trucks in 1911 at the age of thirty-one. 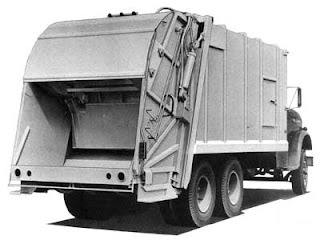 In addition to the dump truck, his company developed the self-packing garbage truck familiar in every corner of this country. In all, Gar Wood held over thirty United States patents making him a multi-millionaire by the age of forty. Gar Wood and his eight brothers established the Wood Hoist Company which soon became Garwood Industries. Alongside industrial giants like Ford, Dodge, and Chalmers, the family built an industrial empire around the hydraulic lift which enabled Gar to pursue his love of speedboat racing. In 1916, Gar Wood purchased his first motorboat naming it Miss Detroit. 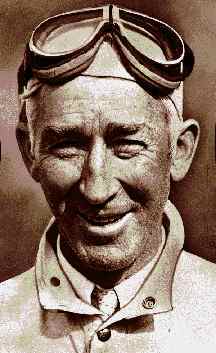 The following year he put a Curtiss "12" airplane engine in a speedboat against the advice of everyone and won the 15th Annual Gold Cup Race on the Detroit River. Fours years later, he set a new water speed record of 74.87 mph. In the next twelve years, he and his racing team built ten Miss America's and broke the water speed record five more times raising the speed to 124.86 mph on the St. Clair River in 1932. Miss America X was the last of Gar Wood's racing boats. 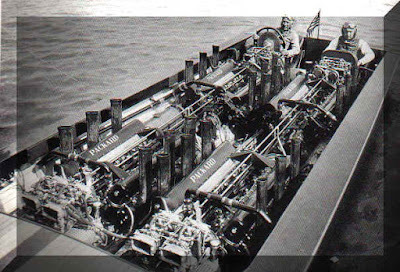 The $600,000 speed boat was powered by four 1800 horsepower, twelve cylinder Packard engines run in tandem in a double-hulled boat. The boat's stringers were made of top quality spruce with the rest of the boat made of mahogany. This was the first boat to go over two miles a minute using 10 gallons of fuel per mile when full open. After Wood won the international Harmsworth Trophy in 1932 and 1933, he retired from racing leaving his son to carry on the family tradition. Gar Wood did more to develop the American speedboat sport than anybody. In the 1930s, Garwood Industries built a new boat plant in Marysville, Michigan capable of producing 1,200 quality custom boats a year. Their two basic commercial models were a 28' runabout and a 22' runabout. In all, the factory produced 10,000 boats before the company converted over to the war effort during World War II. The company had extensive military contracts for military hoists, hydraulic units, dump trucks, tow trucks, and transport trucks. After the war, Garwood Industries quit boat production in 1947. In his later years, Wood worked on a commercially feasible, battery-powered electric automobile. His electric car used eight 12-volt lead batteries connected in a series to power two specially designed 90-volt, 2 hp DC motors. The top speed was 52 mph and cost about twenty cents to recharge the batteries. The car was named the Gar Wood Super Electric Model A and was featured in the July 1967 issue of Popular Mechanics. Garfield Arthur Wood died from stomach cancer at the age of ninety on June 19, 1971 and was buried in Algonac, Michigan. Upon his death, Detroit News reporter George Van wrote, "To the public, he was Tom Swift, Jules Verne, and Frank Merriwell, with a little bit of Horatio Alger thrown in." A short clip of Miss America X and Gar Wood in action winning the Harmsworth Trophy in 1932.